What are Prefixes and Suffixes? Prefixes and suffixes are grammatical and lingual "affixes." Prefixes are affixed before and suffixes after a base word or word stem to add information. For example, with the word "prehistoric," the prefix is "pre-" meaning "before," the base word is "history" meaning "recorded events and knowledge", and the suffix is "-ic" meaning "relating to the science of." 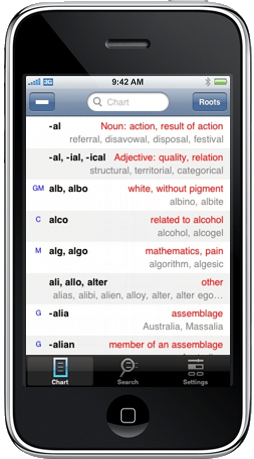 In other words, "prefix" simply refers to an attachment before or in front of, in this case, a shorter word or stem. In lingual terms, a "stem" is the main part of a word to which prefixes and suffixes can be added and may not necessarily be a word itself, such as "dod" in "doddle." Similarly, "suffix" refers to an attachment after the end of an existing word or stem, serving to form a new word or functioning as an inflectional ending, for example, �s� or �es� to make for plurality. Is an Affix a Single Syllable? No, a prefix or suffix can be one or more syllables, depending on the root word from Latin or Greek or from any one of a host of other English lingual influences. Are Endings such as "-ed," "-ing," and "-s" Suffixes? Are Endings such as "-ism," "-ful," and "-fy" Suffixes? Derivational suffixes can combine, providing flexibility in creating other words, but such activity can lead to spelling complications. For example, "-ity" can combine with "-able," but the result is "-ability" (desirability, predictability), and when "-ly" is added to a word ending in "-ic" to make an adverb, the result is usually "-ically" (historically, mechanically). Go on to more about syllables.